The last meeting of the Bellaghy Historical Society for the 2006-2007 season started with a brief A.G.M.when the election of Office bearers resulted as follows: Chairperson Mrs Mary Breslin, Vice Chairperson Mr. Seamus McErlean, Hon. 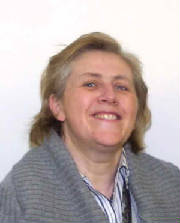 Secretary Mrs Patricia Lowry, Hon. Treasurer Mrs Pat Henry,Committee members Mrs. Margaret Evans, Mrs Ena Hammond, Mr. Dermot Keenan, Mr. Pat Brennan and Mr. Sam Overend. Thanking the speaker Mr. Ross Chapman from Newry for conducting the election Mrs Breslin told members that he was a retired Veterinary Surgeon and had come to speak to them on “Stable, Byre and Sty” – a nostaglic look at the Ulster farmyard. Mr. Chapman recalled the close relationship which the farmer of the 1930s and 1940s had with his animals which in many cases were housed in stables and byres adjoining the house providing heat for the animals and the human inhabitants as well. Nowadays the farm buildings are at some distance from the main dwelling and the relationship is quite different from the days when people sat on a milking stool with actual physical contact with the cow. Animals were vital to farm life then with the horse being the most important, providing transport with a trap for the family, moving heavy loads of materials for farm maintenance, labouring in the fields ploughing, reaping and bringing in the harvest. An injured horse was a catastrophe for the farmer and veterinary medicines were much more primitive and less effective than in present times. He recalled the anxiety of administering some doses and demonstrated with some of the instruments he had brought with him. Mr. Chapman’s reminiscences proved of great interest to his audience and the Chairperson thanked him for coming so far to share them. Mrs. Breslin also reminded members of the proposed outing on 14th June to Derry, L/derry, when a tour of buildings and places of great historic interest has been planned. Members who were not present at the meeting but who would like to go are advised to ring either 7938 6225 or 7938 6413. The February meeting of the Bellaghy Historical Society was addressed by Mrs Pearl Hutchinson, Chairperson of the Kilrea Historical Group. Her topic was “My Father’s Country Shop in Donegal” – a nostalgic look back to life in a very rural area near Ballybofey fifty years ago. The family name was Kee and as there were so many of that name in the neighbourhood everyone had a distinguishing nick name and her father was known as “Charlie The Shop”. Mrs Hutchinson, who illustrates her talks with many photographs on a computer presentation, gave a very real verbal description of the shop’s interior as there was no flash photography in the days of which she spoke. There was a long counter on each side with groceries on the left and hardware on the right. Her mother was very clever at woodwork and had constructed a bench on the left where customers invariably sat to exchange gossip and local news items before starting to make any purchases. The shop was a centre for the community and on Saturday nights many local farmers would come in and the talking went on until late. The shop sold everything and men came with their horses and carts which could be backed into a space in front of the shop and bags of meal or heavy items were lowered on a pulley from a store door on the first floor of the building. Deliveries were made of other orders by the speaker’s father in his car – one of the few in the district – and she loved to accompany him on these trips along the winding roads and lanes of the district. Mrs Hutchinson had many very interesting photographs of her family and local characters and the whole ambience of the area was brought to life by her lively descriptions. Mrs Mary Breslin (Chairperson) thanked Mrs Hutchinson for her fascinating insight into life in a happy country community of fifty years ago and remarked on the evident enjoyment it had given her audience. She also reminded members that the Speaker next month would be Ms Valerie Adams from P.R.O.N.I. whose topic would be “Making Sense of the Census of 1901” with special reference to Bellaghy. The November Meeting of the Bellaghy Historical Society was addressed by Mr. James Davidson, current Chairperson of the Federation of Ulster Local Studies, on the subject “Our Daily Bread” which is the title of his book on the History of Ulster Bakeries. Mr. Davidson is the third generation of his family to have worked in the family-owned Eglinton Bakery in Belfast. His knowledge of his subject is extensive and his enthusiasm for it made his talk very engaging. He gave detailed information of the 25 large Bakeries operating in the Province of Ulster in the past as well as listing the 30 to 40 family owned Bakeries which have now disappeared becoming members of larger conglomerates. 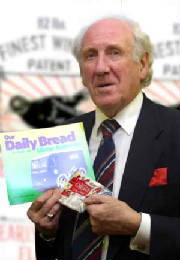 With every company mentioned he could cite names of the owners and their families adding most interesting anecdotes about them and the products for which they were best known – Morton and Simpson of Ballymena for example were famous for their wheatmeal and although bought over by Andrews, this meal is still traded under the “Early Riser” Morton name. One of his many fascinating slides was of one of their Bread Carts, unique as it was the only one for which the name of the Company, breadman and horse were all known. Northern Ireland has a variety of bread which greatly exceeds that of England, a characteristic which we share with Southern Ireland and Scotland. Thanking the Speaker, Mrs Breslin, Chairperson, reminded members that the next meeting will be on the subject of “Portmore, Ballyscullion and Bellaghy – a look at history in local songs” which will be given by Mr. John Moulden, Portrush at the usual time of 8 p.m. in The Old School Centre, Castle Street, Bellaghy. Guest speaker James Davidson, gave everyone an interesting insight into the History of Ulster Bakeries at the November Meeting of Bellaghy Historical Society.